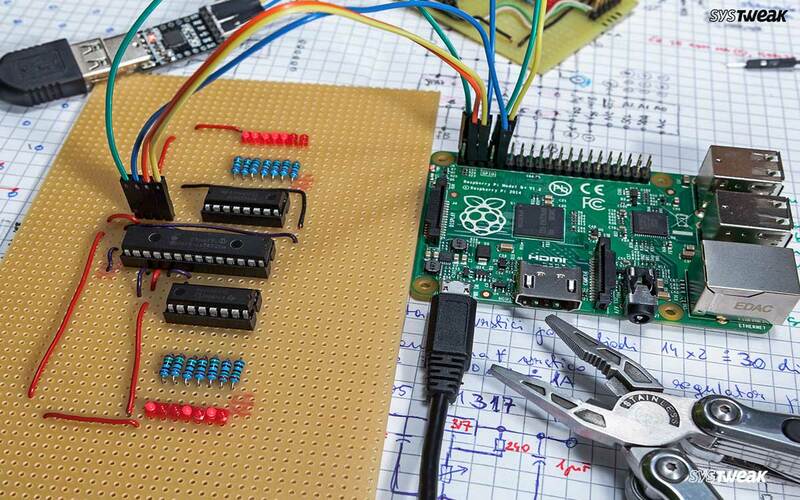 Raspberry Pi has managed to take us back to the roots of computing. This palm sized mini-computer offers extraordinary functionality. The Raspberry Pi is quite similar to a conventional computer. It contains a processor, data storage space, and input units. What sets it apart is its low power usage, budget friendly price and operating system. Once one has acquired a Raspberry Pi for technically inclined kids, young beginners and even engineers, there are multiple number of things that they can do with it. Mentioned below are the 10 best Raspberry Pi Projects that one can create. Let’s start at the beginning. Kids today are more technically inclined than their parents. Hence, we begin our list of the 10 best Raspberry Pi Projects with them. If there is one game that is played across all ages, it is Minecraft. With Raspberry Pi, one can mod (modify) this medieval game and customize it according to one’s likes and dislikes. This is made possible with Minecraft Pi. One can manipulate gravitational pull, alter the themes, decide how slow or fast a character moves etc. This is possible with basic coding of Python. While there is an official site for Minecraft Raspberry Pi version, the link mentioned below has more options and offers the users a variety of tutorials. Visit them here. Which child does not like to race cars? Irrespective of race or gender or status, racing of cars is probably the favorite pastime of the kids. Hence, for technically savvy kids, we offer you the option of Racing Cars Raspberry Pi edition. Nicknamed. ‘The Formula Pi’, this project enables kids to race against each other on the power of their codes. Keeping in mind that there are no remote controls to guide the cars, it should be completely autonomous. Free resources and tutorials work as tips for the kids to get a hold of the basics that are involved in its coding. This can be a fun group activity for kids in a neighborhood or a club who can either host their own races or participate in country wide racing tournaments. Details of the same, tutorials on its construction and coding tips can be found here. May the best car win! This one is for those homebodies who rather invent something that gives them creative satisfaction. We suggest a Humidity Sensor. Its creation can teach kids a lot about electronics, environmental sciences and coding. There is tutorial support, videos and tips galore as support for all those who are keen on creating such a gadget that not only scans the room but also displays the humidity level in it. For more details on this Raspberry Pi Project visit here. Moving on from kids, to young beginners or teens or even those adults who for the first time are creating Raspberry Pi Projects. The below mentioned projects are easy to undertake and create. This is one of the best way in which Raspberry Pi can be implemented in a creative and fun manner. One can create many mini movies and even cooking tutorials via this format. With basics such as a solderless breadboard, jumper leads and a tactile button for control, and one Raspberry Pi camera module, one can rig and create a working camera that captures in stop motion! Do remember to share your creative videos on social media pages for additional viewership. Linked here are the tutorials, the requirements, tips and tricks on how to create a Stop Motion Camera. Check them out here. How can we talk about computing and not mention robots? We say it again to express our excitement about this particular project. ROBOTS! Moving on, the only thing that can trump a working robot is a Robot BUTLER! Yes, once can create a robot Butler to do our bidding with the help of Raspberry Pi. All it needs is a spare Nintendo Wiimote. The addition of a motor controller makes this a stuff of techie dreams. The robot chassis is dependent on your creativity. Tutorials, video guides and requirements are available in this link here. Also, ROBOTS! This is certainly one Pi Hole you don’t want to see shut. It is the nothingness where all ads go. Don’t believe us? Read on. A permanent solution of stopping ads from clogging one’s internet connection and home network, the Pi Hole is “A black hole for Internet advertisements”. All one needs for creating the big empty is a Raspberry Pi and add a few changes to the router. Detailed tutorials and coding tips are mentioned in the link here. Now is when we move on to the Engineers. They are the ones who think beyond what one seeks and creates amazing structures and technologies that are used in a widespread manner by all. The below mentioned the best Raspberry Pi projects for engineers. With the economy in the doldrums, even the government agencies are having a tough time dealing with the high costs in maintaining a city or a countries infrastructure. As a solution that is beneficial for all, we suggest the creation of Solar Powered Street Lights that have been created with Raspberry Pi. This project is technical in details and hence best suited for engineers. The implementation of solar tracking system for lights greatly increases the overall output at a fraction of the electrical lighting system cost. Link mentioned is a detailed publication on how it can be created and its many FAQs. Visit it here. Ahh! the ideal life on a boat, the sea below you and the sky above. But, in such a scenario, it is always advisable to have backups in hand. Primarily, GPS ones. Technology as a whole has come a long way from mere longitude and latitudes for sailors. Now with this compact Raspberry Pi enabled GPS navigation kit, one can always find a port. Though it needs 3 simple things such as a Raspberry Pi, a GPS module, and an LCD screen, it is a tricky little ensemble. A detailed tutorial for the same can be found in a link here. In an era that is pre- digitalization, one was exposed to a variety of silent and black and white films. They were the gems of that era. As time has moved on, VFX, motion capture and a whole array of technologies have managed to make its mark felt in the world of cinema. But, one must not forget those classics that currently laying waste in a tin can in some attic. Probably one of the best Raspberry Pi Project, the conversion of reel film on to a digital platform should rightfully become very popular. It is only with it that one can revisit old times with one’s grandparents or see again the vistas of our ancestral homes. Details of the same are available here. This one takes the roost. What more can an engineering student want more than coffee. Add to it a talking coffee machine and things reach another level of awesome. Chronically, this machine was created 2 years back. Only then it was merged with Alexa and raspberry Pi for that it could make small talk and brew coffee at the same time. Now, the latest version of the same is not only making better coffee, it is also making 2 cups of coffee at the same time. Details, source codes and vlogs of the same are all mentioned in the master pot here. There you have it folks. The 10 best Raspberry Pi projects that can help one explore their interest in the field of electronics and computing. Drop us a line below in the comments section. Do share which applications or technologies you want to see features in future blogs.